Ever woken up and been sure you're the one responsible for creating one of the most revolutionary technological innovations in the smartphone market? We know we have, and in the case of Florida-based Thomas S Ross from Florida he's so adament that he invented the iPhone way back in 1992 he's sueing Apple for the tune of $10 billion. It's not even an April Fool, either. 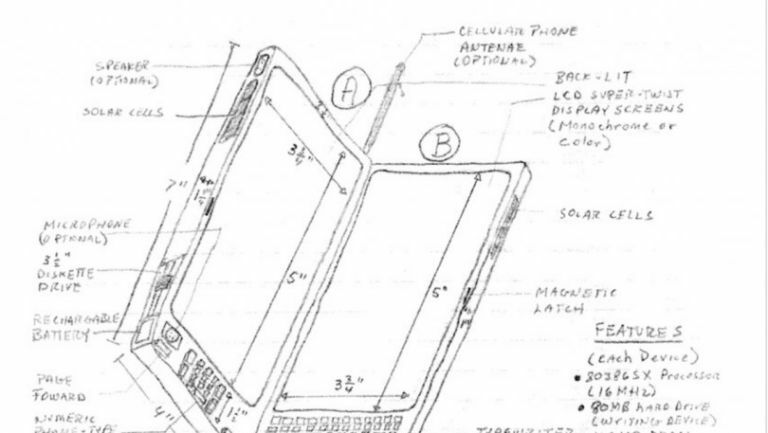 The Floridian bases his claim on a series of sketches he submitted to the United States Patent and Trademark Office for an 'electronic reading device' or ERD. According to the original design by Ross, the ERD has a backlist screen, a rechargable battery and a large, device-dominating screen you wouldn't have seen on any gadgets back in the early 1990s. Ross claims the design was copied by Apple, stored away and eventually used to create a series of derivative products under the Apple name - in other words, his designs were the true precursor to the iPod, the iPhone and the iPad. It's quite a claim, and one Ross is willing to test with a very public lawsuit that hopes to squeeze that choicey $10 billion as well as, "a reasonable royalty," of 1.5pc of all of Apple's future sales. When you consider Apple made a rather tasty $235 billion in revenue in 2015, that would be another $3.5bn or so a year. That's a whole lot of cash. There are a few snags in Ross' claim though - most notable being the fact the patent for his 'ERD' was never finalised since some of the administrative fees were never paid at the time. It was put on hold and was eventually labelled as abandoned in 1995. So, inspired by Ross' lofty claims, our very own Duncan Bell has come up with two massively credible inventions of his own - a device for telepahtically implanting memories and the world's first flying car. Some one's bound to copy these right? We'll all be right in 20 years time for sure. Have you got any crazy inventions you think might be 'stolen' by big companies in the years to come? Get sharing in the comments below and we'll all be quids in.